It is no secret that services at public health care facilities in Haiti are generally poor. However, these facilities are important in that they are used by Haitians who have no other alternative. Konbit Sante is a small organization based in Maine that has partnered with the Justinian University Hospital in Cap Haitian for many years. With their support, newborn and pediatric care is being moved into a new facility – but $25,000 is still needed for materials, equipment, and staffing. If you are looking for an accountable organization that is serious about capacity building, consider donating to Konbit Sante in support of the Justinian University Hospital. 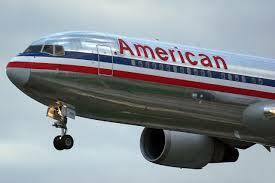 American Airlines will become the first major carrier to offer daily, direct flights to Cap Haitian. The combination of historic sites and beaches might prove a draw for both the Haitian Diaspora and those interested in visiting Haiti without having to transfer through Port-au-Prince. Growing the tourism industry in Haiti will take time - but having the option of flighting in through the north certainly helps. Below is a New York Times article, a reminiscence really, by Madison Smartt Bell on a simple house he once owned in rural Haiti. He recalls that one can do nothing alone in Haiti, which can make it very difficult and very special at the same time. His description of the lakou and the importance of community will resonate with anyone who has lived in rural Haiti before. Two years ago, we posted a blog about a documentary under development entitled Strange Things (Bagay Dwol). Directed by Alexandria Hammond, Strange Things follows the lives of three street children in Cap Haitian over three years. The film has since been completed and screened at dozens of film festivals. An abbreviated version of the documentary entitled “Children of Haiti” will have its national broadcast premier Tuesday, January 11th, at 10:00 PM as part of the PBS Independent Lens Series. It will include updates on the main characters and address challenges facing homeless children in post earthquake Haiti. Hello from Cap Haitian, the chipped pearl of the Antilles. When I was a Peace Corps Volunteer in the Central Plateau, I would sometimes take Route National Three from Hinche to Cap for a long weekend. I never looked forward to the grueling trip, but I always looked forward to being in Cap. The beaches were (and still are) beautiful and this region is historically rich. It is here that Christopher Columbus landed and where he lost one of his ships. The Haitian slave rebellion began with a single Vodoun ceremony in Bois Cayman and ended with the battle of Vertieres. The Citadel looms from a mountain in the distance. While the city of Cap Haitian has changed, and not for the better, it is still good to be back in the north. 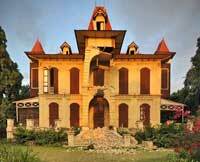 While the impact of the earthquake was felt most acutely in Port au Prince, the entire country has been affected. Hundreds of thousands of the displaced have returned to a long neglected countryside and to secondary cities like Cap Haitian. Nate Nickerson, Director of Konbit Sante, provides an update on how Cap Haitian is dealing with the influx and what is being done to meet the health needs of returnees. You can learn more about Konbit Sante's important work, and how you can support them, on their Website and Facebook Page. Rough roads, sporadic electricity, out-dated ports, and rural areas in need of irrigation. Haiti needs Haitian engineers badly. The prerequisite is students who understand and have a passion for math and science. In January 2007, a group of Cap Haitian students (Team Citadel), with the support of Mark Moorman, a Haitian Businessman, and Rotary International, participated in the First Lego League Robotics Challenge in Florida. In April 2009, they again competed in Atlanta. Some of these students may one day become leaders in addressing their country's considerable infrastructure needs. Konbit Sante is a Maine-based non profit organization focused on building the physical infrastructure of Cap Haitian's Justinian Hospital and the capacity of its staff, significant given that this health facility is the largest in the north. Last week, Konbit Sante announced a new partnership with Direct Relief International (DRI). DRI has agreed to provide close to half a million dollars worth of medications to the Justinian Hospital. Should tropical storms hit northern Haiti again this year, having these medicines on hand will considerably improve response time. A press release is copied below.